To what lengths will a true saint go to defend pure doctrine? Fr. 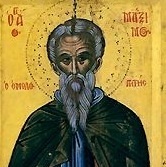 Thomas Hopko tells the incredible story of St. Maximus and St. Martin.